Not a day goes by these days that we do not expect Samsung to announce the Galaxy A (2018) lineup, but the company is keeping things close to its chest as far as an official announcement is concerned. 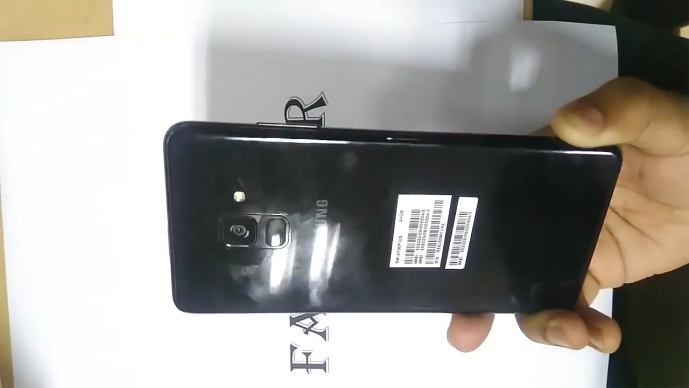 The leaks and rumors have shown no signs of stopping, however, with even a hands-on video of the Galaxy A8+ (2018) showing up online recently. 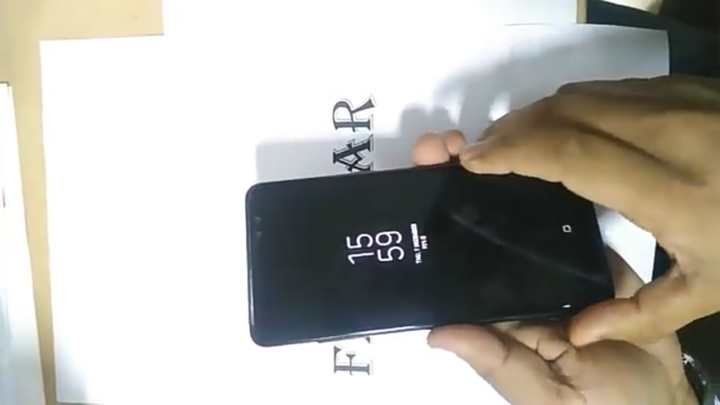 While that video has been taken down, it did offer us a look at the phone’s specifications, and today, we can confirm that those specs were indeed the real deal. From the information we have received, Samsung seems to be preparing three different variants of the phone. There’s one with 4GB of RAM and 32GB of internal storage, another with 4GB and 64GB RAM and storage, and one with 6GB of RAM and 64GB storage. If history is any guide, the 6GB+64GB variant will likely be released in Asian countries like China, with the other two making their way to different markets on a case-by-case basis. It’s possible the two variants with 4GB of RAM will both be offered as options in some countries, but we have no way of knowing until Samsung makes the new A series official. The A8+ will feature a 6-inch Full HD AMOLED display, with an octa-core Exynos 7885 under the hood. The Exynos 7885 is unique in that it has two high-performance cores and six low-power cores. That’s a setup that we have not seen on an Exynos chip before, and the high-performance cores should help in offering stronger software performance than what we’ve seen on A series handsets until now. There’s even support for Bluetooth 5.0 on this chip, so there should be the option to stream to two Bluetooth speakers at once. A 3,500 mAh battery with fast charging will power the handset; that’s 100 mAh smaller than the A7 (2017) but shouldn’t have a notable drop in battery life. The cameras are where the Galaxy A8+ (2018) will attract consumers, in addition to the Infinity display. The rear camera remains a 16-megapixel unit, while a dual camera setup with 16 MP and 8 MP sensors has replaced the single selfie camera. There’s support for Samsung’s Live Focus feature for selfies, as seen in the hands-on video. On the software front, the phone will run Android 7.1.1 Nougat out of the box, with the Samsung Experience 8.5 UX. And, yes, an update to Oreo and the Android version after that can be expected, given the kind of support the A series phones have received. Now, what about the Galaxy A8 (2018), or the smaller of the newest A series phones? Oddly, not a lot of information has surfaced about that phone. The specs should remain mostly the same across both the A8 and A8+, but it will be interesting to see how the screen size, battery capacity, and possibly the RAM and storage options vary on the former. 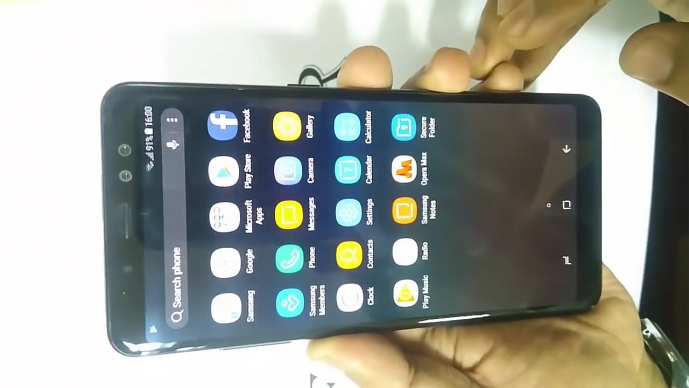 And, yes, we have to say that our usual warning about not taking any of our info as fact applies here, even though we’re fairly certain that these are the specs for the Galaxy A8+ (2018) and also have the now offline hands-on video we saw a few days back.